There are about a million and one things to do in Barcelona for just about any traveler. And that’s no lie. Barcelona might be best know as the “City of Gaudí” but there is so much more to it than that. We spent over a month exploring Barcelona recently, and fell in love with its rich history, vibrant, atmosphere, electric energy, thrumming nightlife, expressive people, and majestic views. Filled to the brim with sights to see, things to do, tapas to eat, sangria to drink, and places to explore we currently rank Barcelona very highly on our list of favorite cities in the world. Big words? You bet, but Barcelona deserves them, and more. Barcelona has been growing in popularity rather quickly over the last decade or so, and people are flocking to this amazing city in record numbers. Unfortunately, this has led to some issues with overcrowding during high season, resulting in skyrocketing hotel and hostel prices. That said, there are still options. Here is our guide to the best budget hostels in Barcelona to help you out. 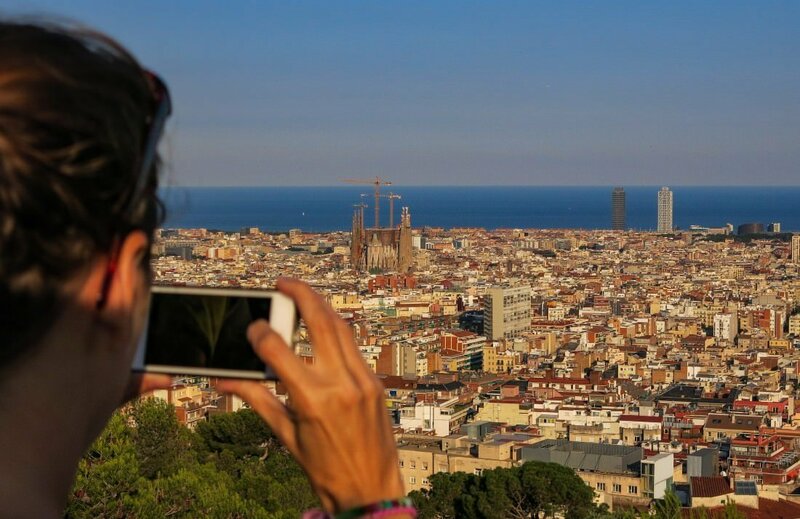 There has also been a bit of a backlash against tourism in the Barcelona, as residents living near the city center have felt pushed out of their homes and habitats by tourists, and landlords seeking to convert apartments into AirBnb rentals. Thus when visiting Barcelona we recommend you put aside some time to LEAVE the city, and explore a bit of beautiful Catalonia. 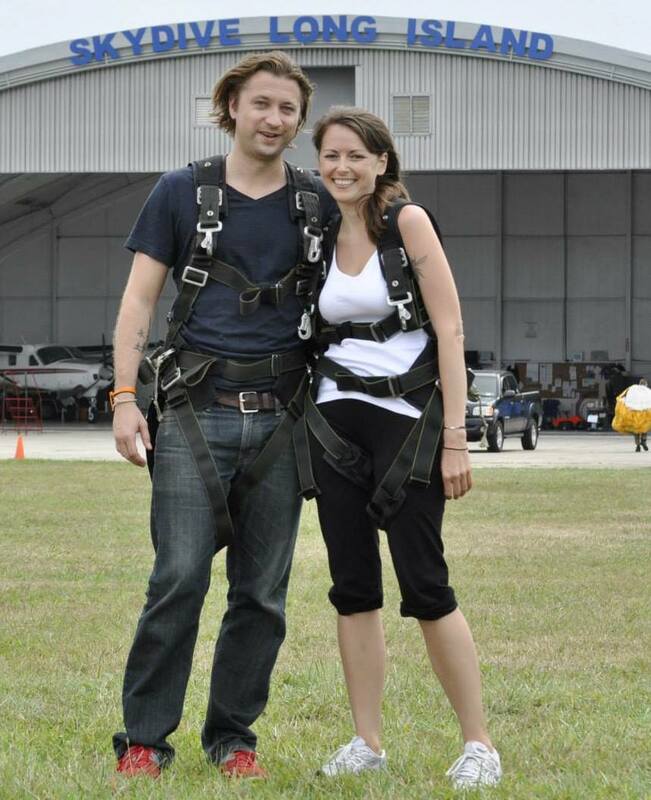 Check out this article for more information on where to go, and why to do so. With that said, and without further ado, here is our list of top things to do in Barcelona, in no particular order. As always have fun, travel safe, and we’ll see you on the road! The eternally under construction Sagrada Familia. Artist, visionary, architect, genius. These words all describe the master that was Gaudí. 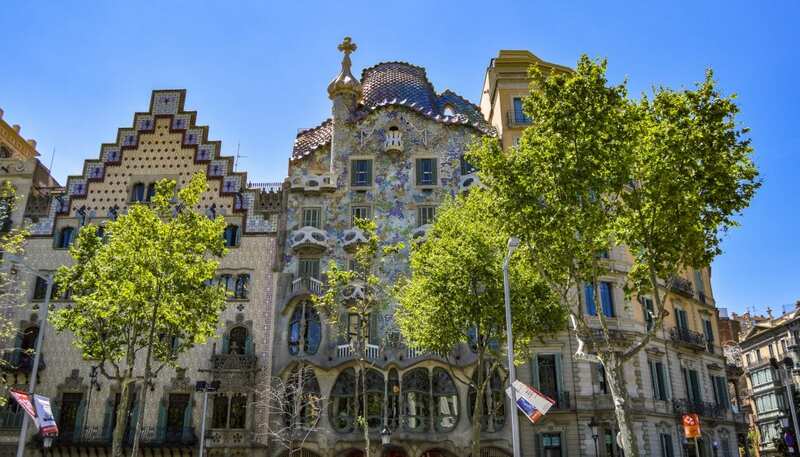 His works are not to be missed when visiting Spain and Barcelona, and visiting them will probably be the number one one your list of things to do in Barcelona. Download the free BCN app from Trip Advisor or walk into any hotel and grab a map of the city from the front desk and plan out your own self supervised Gaudí tour. You can also take one with a local guide (just do a Google search for “free walking tours Barcelona”). Free doesn’t actually mean FREE, however, and the guides expect a “tip” at the end, generally in the amount of 5-10 euro per person. A window in the Casa Batllo, one of Gaudi’s more famous works. €30.00 for 6 museums is a pretty good deal if you are a museum buff and plan on visiting all the museums on the list. 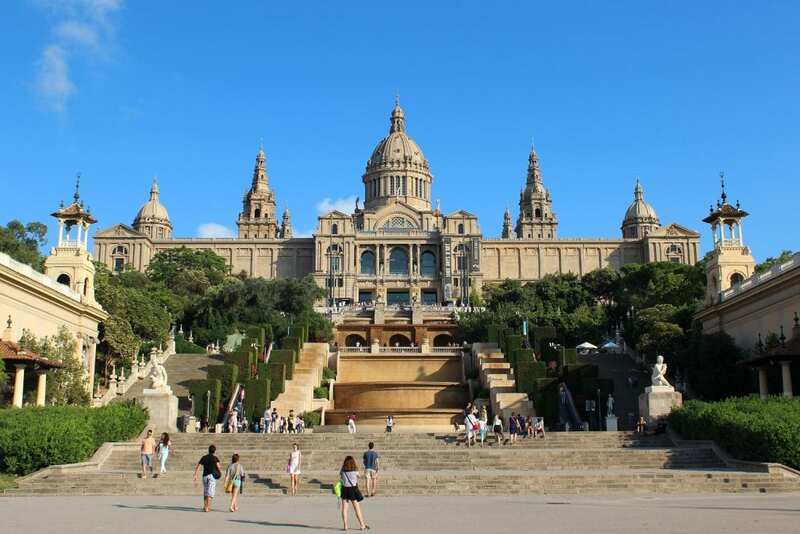 They include the great Museu Nacional D’art De Catalunya and slightly underwhelming Museu Picasso. For more info check out the Articket site. Barrio Ravel is the former red light district of Barcelona and is home to a multi-cultured and vibrant community. Filled with bars and restaurants the old world narrow streets ooze atmosphere and really come alive at night. Soak it all in but keep your wits about you. Crime has been on the rise in recent years. 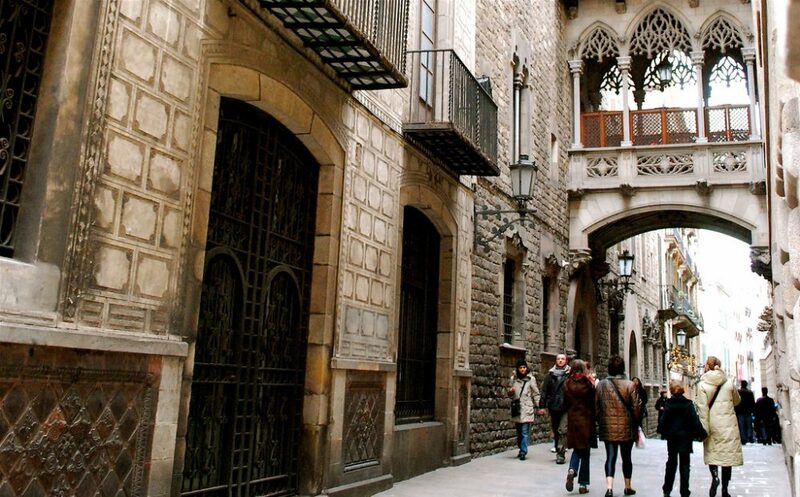 Located within the Raval, not far from Las Ramblas, is a seedy looking splinter of history. 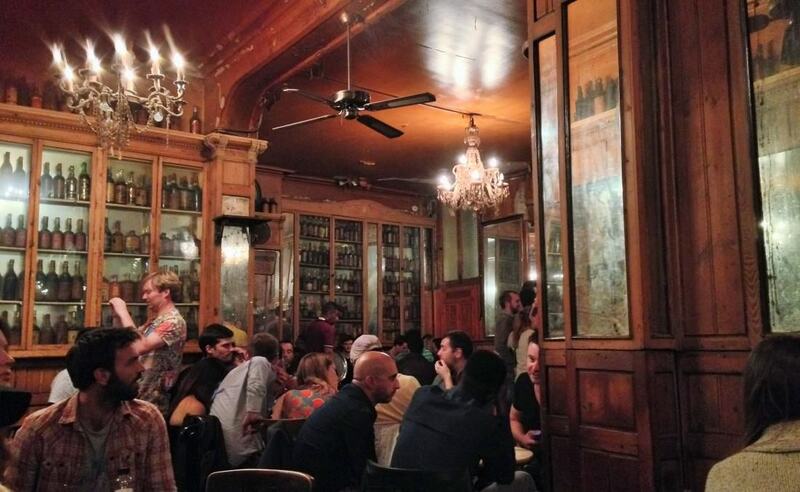 Marsella Absinthe Bar was established in 1820 and is said to have been visited by such legendary artists as Picasso and Hemingway (and our favorite contemporary speculative fiction writer George R.R. Martin). The all wood interior of the bar transports you to another time and place with its faded mirrors, dusty decor, dilapidated furniture, and a surly no-nonsense owner/bartender. Atmosphere like no other bar we have ever visited, especially after your first glass of Absinthe. Stroll around Park Güell, where the Gaudi House is located, and head to “Tres Crues” which is the highest point in the park for a breathtaking panorama of Barcelona. The is a great spot to get sunset views of the city, so bring a few snack, bring your camera, and enjoy! 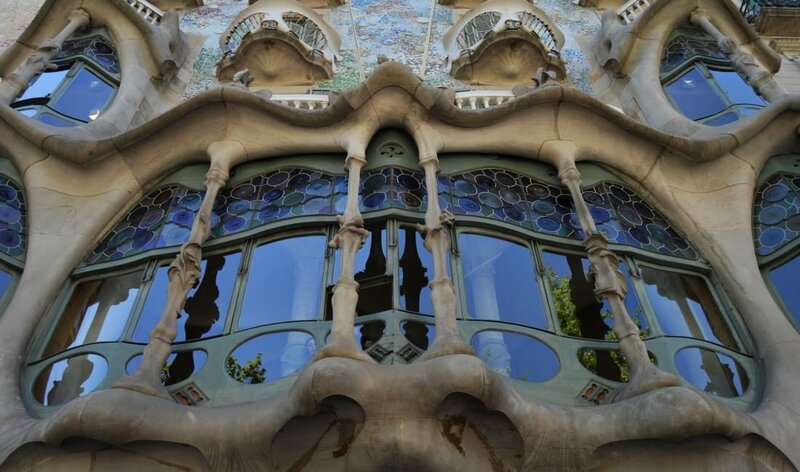 The park is free, but the Gaudí House-Museum will set you back €7.00. Barcelona has a public bike service, but it is only for residents. However, there are some privately owned rental companies where you can rent a bike for as low as €5.00 a day. This is a pretty great way to get to see the city, and there are a lot of biking lanes running through the city to make peddling around simple and stress free. Riding a bicycle also reduces your carbon footprint AND is a great form of exercise to burn off all those calories you’ll doubtlessly put on eating Barcelona’s world renown cuisine. Pretty much a win win win situation. Montjuic Hill Olympic pool was constructed for the Barcelona Summer Olympics in 1992 and affords spectacular views of the city. The pool is open from the end of June to the beginning of September and costs €6.49 for adults and €4.47 for children. 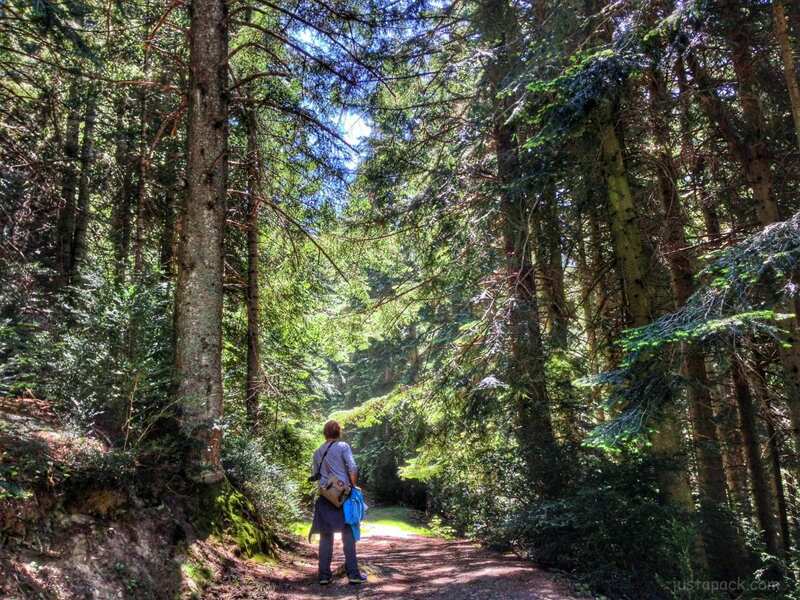 Bring your own food and drink and relax while getting a high dose of rays and scenery. Go here for more details, hours of operation, and directions. 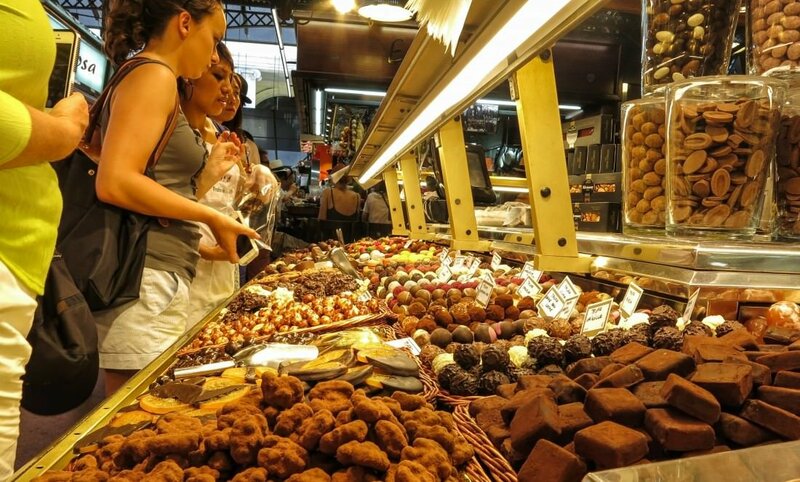 If you’re at all interested in food markets, Barcelona’s Boqueria Market is not to be missed. Steeped in history this open air bazaar dates back to 1217. Located near the old city gate it was originally just a few tables selling meat (with flies buzzing everywhere we imagine). The market has grown to host hundreds of stalls selling anything food related you might desire including produce, bread, meat, fish, candies, and ice cream. There are even a few bars where you can take a break from shopping to enjoy a nice Cava or an ice cold cerveza. Teleport yourself centuries into the past by spending a few hours getting lost in the narrow winding streets of the Gothic Quarter. Once the center of the city, the quarter stretches from La Rambla to Via Laietana, and from the Mediterranean seafront to Ronda de Sant Pere. Despite several changes undergone in the 19th and early 20th centuries many of the buildings date back to Medieval times, some from as far back as the Roman settlements in Barcelona. Remains of the squared Roman Wall can be seen around Tapineria and Sots-Tinent Navarro to the north, Avinguda de la Catedral and Plaça Nova to the west and Carrer de la Palla to the south. El Call, the medieval Jewish quarter, is located within this area too. The Barri Gòtic retains a labyrinthine street plan, with many small streets opening into squares. Most of the quarter is closed to regular traffic although open to service vehicles and taxis. We loved it here and visited a few times during our stay in this amazing city. 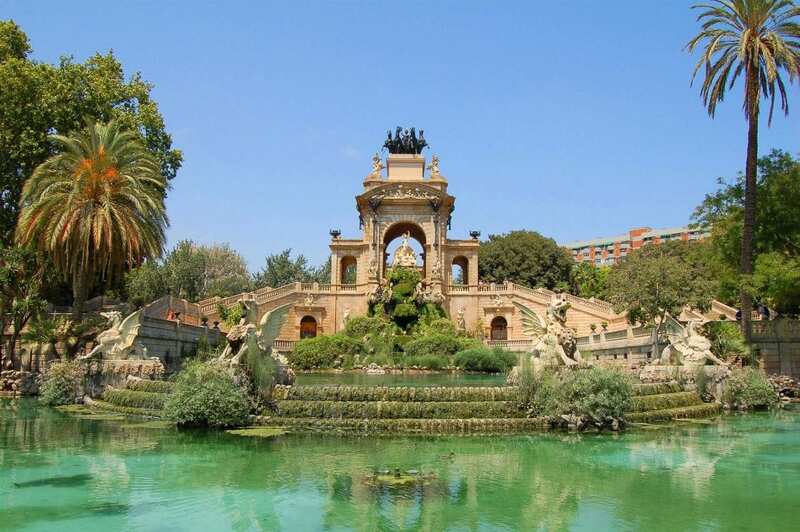 The Parc de la Ciutadella (Citadel Park) is a beautiful green space in the heart of Barcelona. 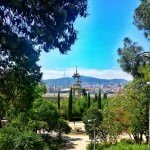 When it was first created in the middle of the 19th century, this park was Barcelona’s only real green space, and remained so for decades. 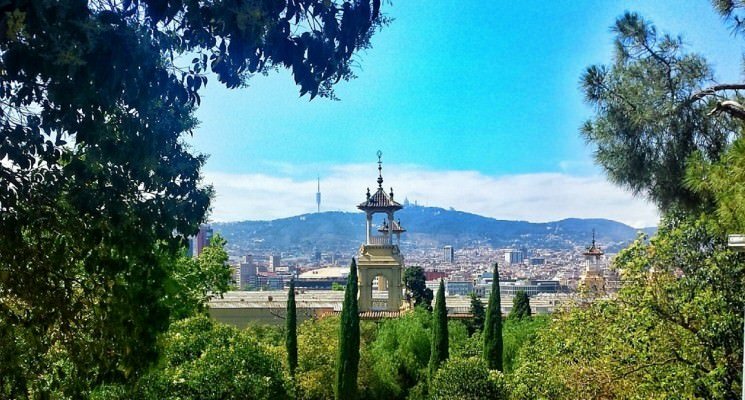 The park is an incredible 70 acres, and inside you’ll find a lake, Barcelona’s Museum of Natural Sciences, an enormous fountain, and plenty of pathways to explore on a sunny day. In summertime the Parc de la Ciutadella is a buzz with locals and tourists relaxing on the grass, practicing yoga, or rowing boats on the lake. It’s a great place to take a picnic and a few beers, and spend the afternoon soaking up some rays. Cascada is the name given to the spectacular fountain that lies in the northern corner of the park. The fountain was designed and erected by Josep Fontsere, with help from Gaudi when he was an architecture student. The fountain was loosely designed to resemble the Trevi fountain in Rome. A statue of Venus standing on an open clam lies in the front, and two gigantic crab pincers act as staircases on either side leading up to a podium where you can observe the park from a height. The Museum of Natural Sciences includes a geology museum and a zoology museum. The museum has permanent and temporary exhibitions which emphasize the importance of our environment and sustaining it. One of the most popular exhibits is the skeleton of a whale, and there are many interactive exhibitions that are popular with kids. There’s plenty to keep you entertained for a few hours! Eating a super late dinner and partying into the wee hours of the morning is standard practice. 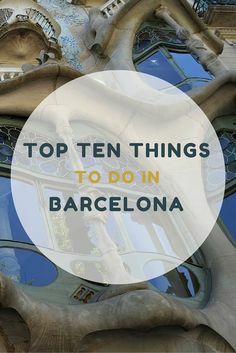 As such, it is definitely one of the things you need to do in Barcelona. Barcelona has a lively club scene. If you are into dancing the late night away and greeting dawn you will love the city after midnight. We visited the funky old school Marula Cafe and adored it. Afro beats, funk, disco, jazz, and more all masterfully mixed into an intoxicating dance floor cocktail. If electronic music is more your thing check out Razzmatazz Club. If you are into rock and alternative Magic Club will be your go-to club/bar. Get there before 1:00 AM and chances are you can find a flier for reduced admission right outside. For more information take a look at TimeOut’s picks of the best places to party in Barcelona. 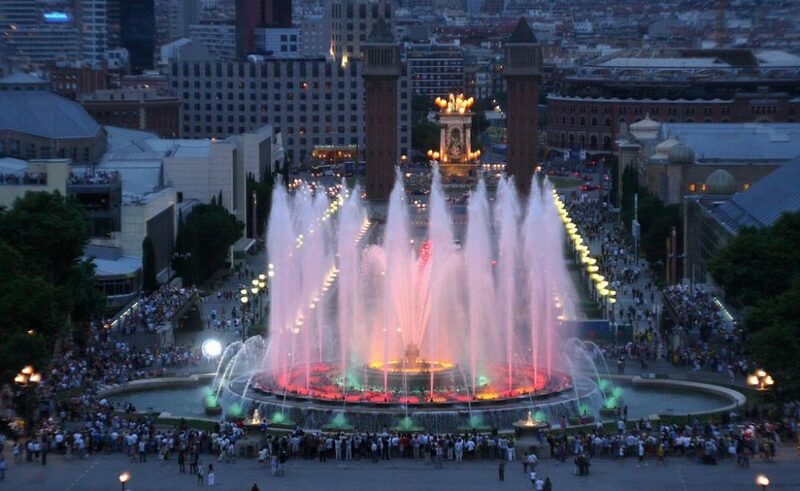 The Magic Fountain of Monjuïc (Font màgica de Montjuïc in Catalan) is a fantastic display of light and sound that takes place regularly at scheduled times during the year. The first ever performance of The Magic Fountain took place in 1929 during the Great Universal Exhibition, and has been a spectacular must-see for tourists in the city ever since. Crowds are inevitable at this display, so we recommend showing up early to ensure you get a good spot. Once the show starts it’s truly captivating. The combination of color, light, motion and music really is magical and definitely shouldn’t be missed if you have the chance to see it! Time your visit to Barcelona to coincide with one of the displays – you can find more information on showtimes and dates here. 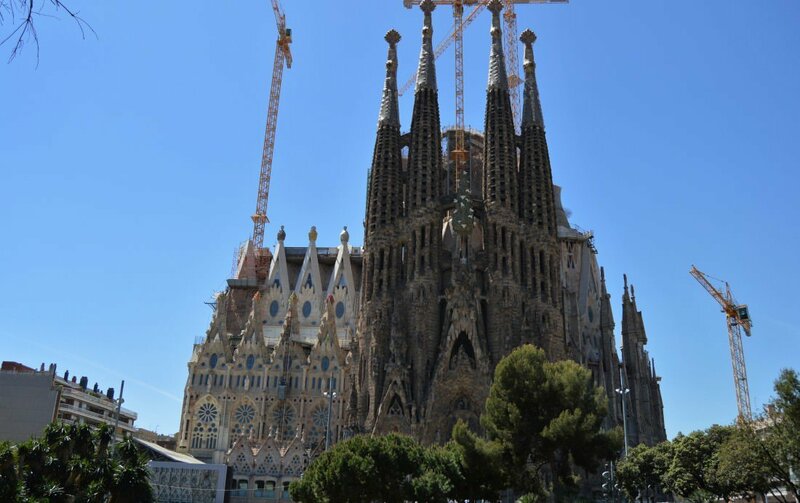 Barcelona is amazing, but there is a LOT to see and do in the surrounding region. 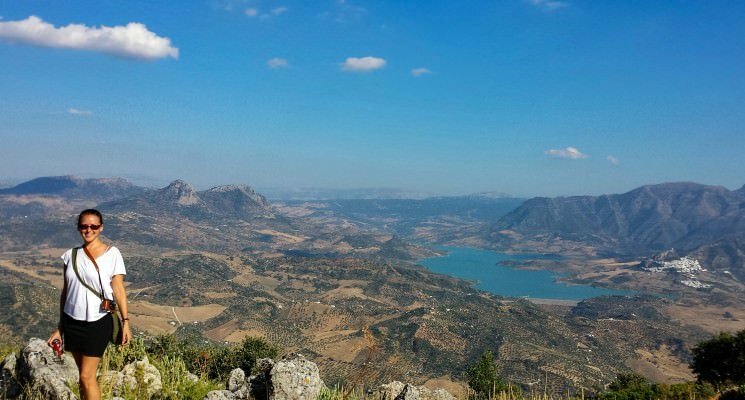 Make sure to not miss out, and take one of these amazing day trips from Barcelona! 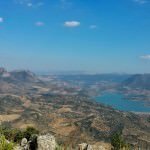 Catalonia, as a whole, is a veritable cornucopia of impressive places to visit and things to do. From seaside towns, to medieval villages, to lush vineyards, to breathtaking nature the options seem endless. Best of all, many of these locations can be explored during day trips from Barcelona. Of course, whenever we suggest a day trip, we usually mean that the trip should last at LEAST a day. Many of the amazing places you can visit from Barcelona, such as Girona, will take you far more than a few hours to explore. So take your time, if you have time to spare, and explore! At the top of Tibidabo mountain lies one of the coolest places in Barcelona, combining a (sort of corny but very child friendly) amusement park along with one of the coolest churches in the city. The charming amusement park located at the top of the mountain is a great way to spend an afternoon in the sun with the kids. Have a go on all the stomach-churning rides, including a roller-coaster, airplane ride and Ferris wheel (in case you thought you weren’t high up enough already!). If you and the kiddos find enjoyment in being spooked then we dare you to enter the haunted house! 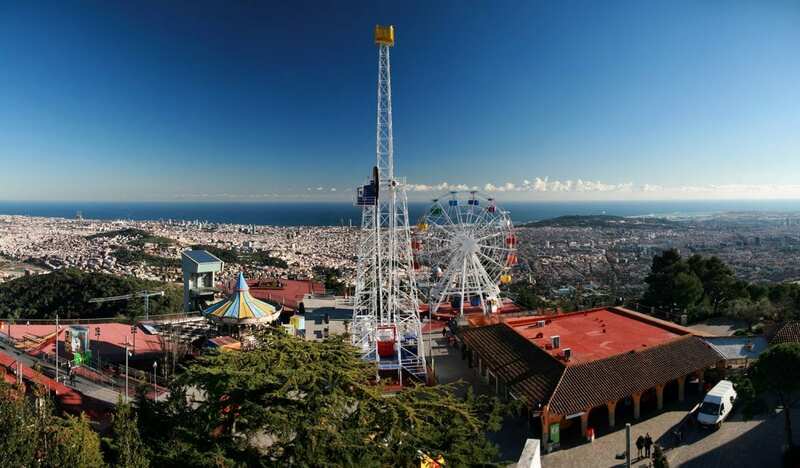 The amusement park is small, and you’ll most likely exhaust the rides in an hour or so, but it’s definitely worth a visit even if it’s just for the spectacular views of Barcelona. Sagrat Cor is a grand church topped with a statue of The Sacred Heart of Jesus by Josep Miret Llopart which stands on top of the mountain next to the park. It’s a stunning work of art that deserves your attention for a hour or so. There’s a lovely restaurant where you can wine and dine whilst taking in the sweeping views of Barcelona’s skyline. One of the best parts about visiting Tibidabo is the journey. It’s super easy to reach, simply take a bus from Plaça Catalunya that will take you the whole way, or a train and then hop on the Tibidabo funicular. The journey will take you up winding roads past forests, and through Barcelona’s fanciest neighborhood, with incredible views the whole way. El Poblenou is a fascinating neighborhood in Barcelona which lies between the city center and some of Barcelona’s best beaches. During the industrial revolution El Poblenou was the centre of Catalan and Iberian industry. It was filled with factories and working class neighborhoods. Nowadays, many of these former factories have been converted into loft spaces, galleries and shops, transforming El Poblenou into a creative and cultural hub. It’s vibrant atmosphere makes it one of the best places in Barcelona to visit. La Rambla del Poblenou is where you’ll experience the social life of the neighborhood. Full of trendy bars and cafes where you can stop for some tapas or a delicious craft beer. 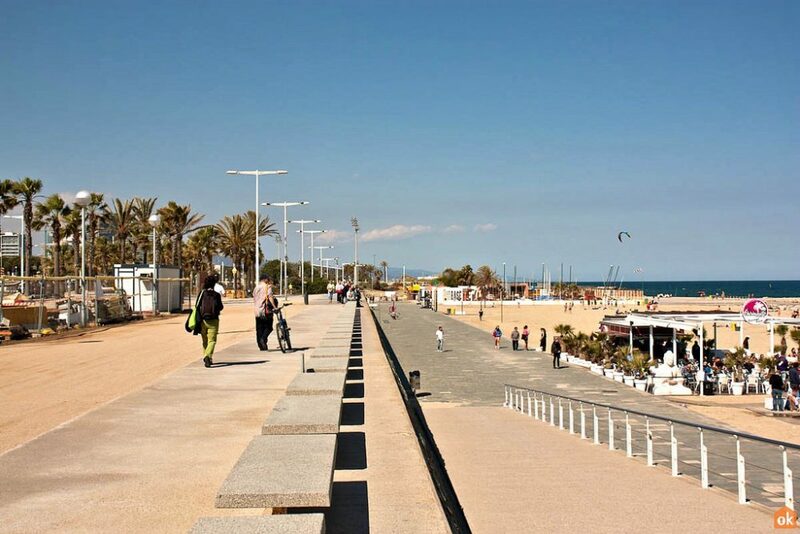 Keep strolling down this street and eventually you’ll reach the point where El Poblenou meets the Mediterranean at Bogatell beach. Here you can find people kitesurfing, sunbathing and reveling at the beach parties during the summer months. This neighborhood has a great avant-garde live music scene where you can find local and international acts performing regularly. The Parc Central del Poblenou is definitely worth checking out, and provides a tranquil space where you can relax in the sun. The cemetery is also worth taking a peek at – it’s the oldest cemetery in Barcelona and is filled with eerily beautiful statues and tombstones. 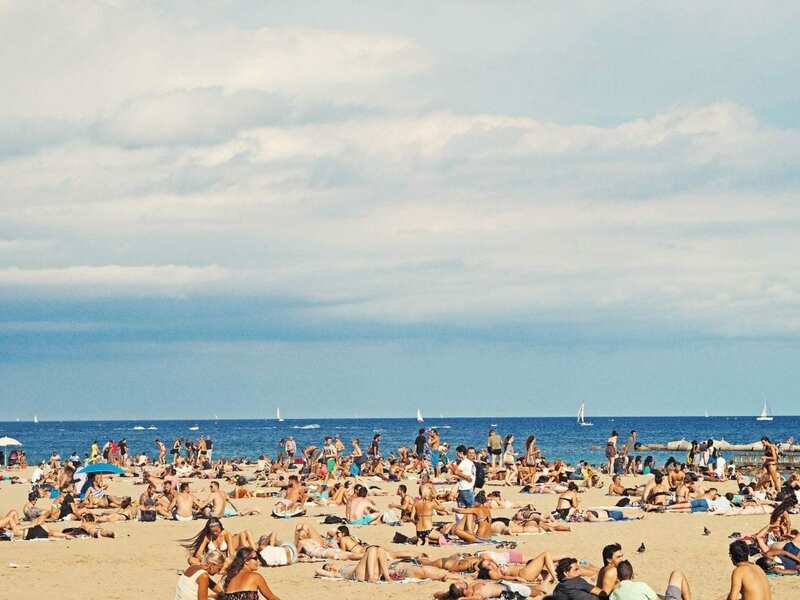 Plenty beaches to pick from in and around Barcelona but our favorite is located some thirty minutes outside of the city proper and is called Castelldefels Beach. Golden sands and blue Mediterranean waters await. Skip the beaches closest to the city and head here for a day of Vitamin D. Subway and bus service make getting here a breeze. CosmoCaixa is a science museum located in the centre of Barcelona. It features exhibits showcasing the environment, science, and space. CosmoCaixa has a fantastic planetarium where you can gaze at the stars and planets, as well as a flooded forest where you can experience wet and dry environments of the Amazon rain forest with huge trees and plenty of animal species represented. This interactive museum makes a great day out, especially if you’re travelling with young children or teenagers. All the exhibits are interactive which makes it all the more interesting. The CosmoCaixa is free for people under 18, and adults can enjoy it for just 4 euro! Spend your day exploring the many exhibits at the CosmoCaixa and take home some valuable lessons about our beautiful planet. Well that’s it guys! There are plenty of other things to do in Barcelona, but we’ll let you figure them out for yourself. If you have limited funds but want to explore Barcelona check out this nifty little guide we wrote to exploring Barcelona on a budget. 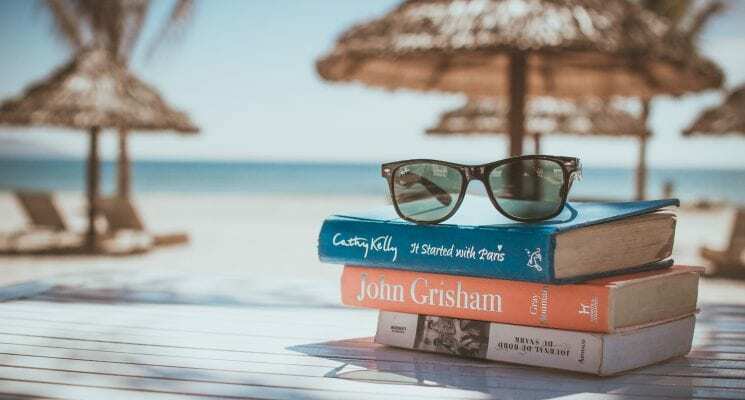 Also, check out our article on the best hostels in Barcelona to find the top budget friendly accommodations in the city. As always, happy travels all! We’ll see you on the road! 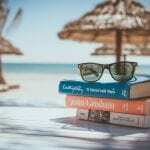 Find Great Rates on Hotels in Barcelona on Booking.com! Great list Michael, but didn’t you know that you can get into the Picasso Museum for free on the first Sunday of the month? Weren’t we there for then or were we at TBEX at that point? Good to know Dale! Thanks for the tip. For me, number one was tapas. I like El Pintxo and Bilbao Berria, but they are the only ones I tried. Walking La Rambla is a must, if only to get to the Boqueria market.